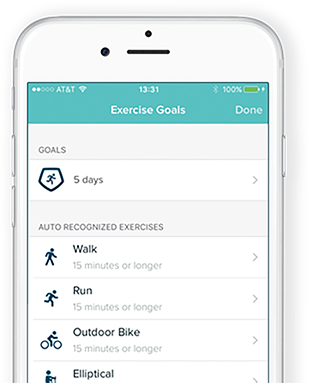 Take the work out of workout tracking. Isn’t it great when things happen automatically? Porch lights. Coffee makers. Thermostats. That’s the power of SmartTrack. Get credit for your effort. SmartTrack automatically recognises and records your workouts and captures all of your stats: like how long you were active, calories burned and heart rate zones. With SmartTrack keeping track, you realise that every little workout counts – from a lunchtime stroll to your daily bike commute. Suddenly, hitting your exercise goals feels like a walk in the park. Tracks this. And that. Oh, and that too. SmartTrack recognises activities with continuous movement or high movement. Behind the scenes of SmartTrack technology. Inside your tracker, SmartTrack is continuously running calculations to detect when you’ve been moving for 15 minutes or more. By following the intensity and patterns of your movement, SmartTrack recognises the activity that you’re doing and tracks your stats. 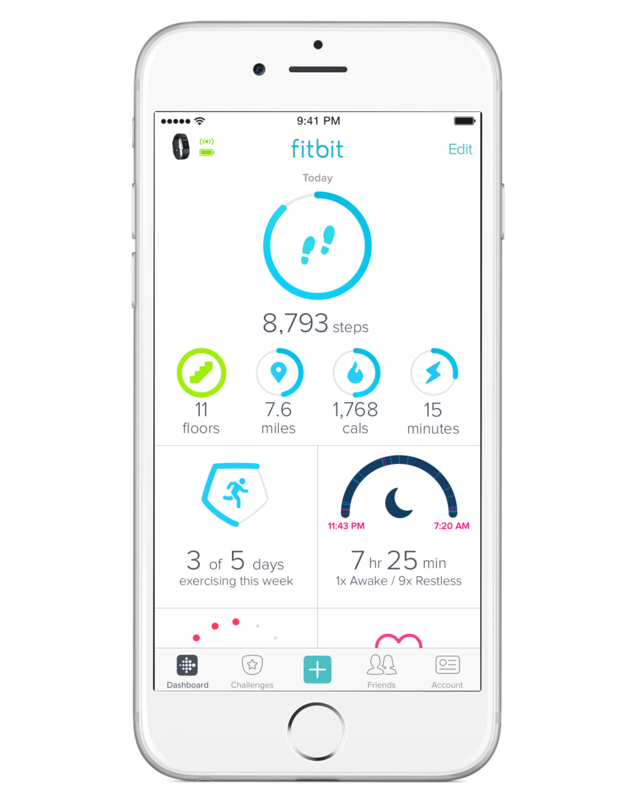 When you’ve finished, a workout summary automatically gets logged to the Fitbit app. So you can focus less on pushing buttons, and more on pushing yourself. You can specify which activities you want SmartTrack to recognise by turning auto-detect on or off. By default, SmartTrack recognises activities when you’ve been moving for more than 15 minutes. You can change this to anywhere from 10 to 90 minutes. Step it up with multi-sport modes. For more precise tracking and to see real-time stats on your wrist, track specific workouts with multi-sport modes on Fitbit Blaze™, Fitbit Charge 2™ and Fitbit Surge™. Grab a tracker with SmartTrack. Sprint over to the Fitbit blog for ideas on how to get moving. *Estimated number of minutes of exercise tracked by SmartTrack. Based on aggregated and anonymised data from Fitbit users worldwide.